When the vehicle audio was power off because of battery damage, the audio will start the anti-theft system automatically-UOBDII.com remind you. 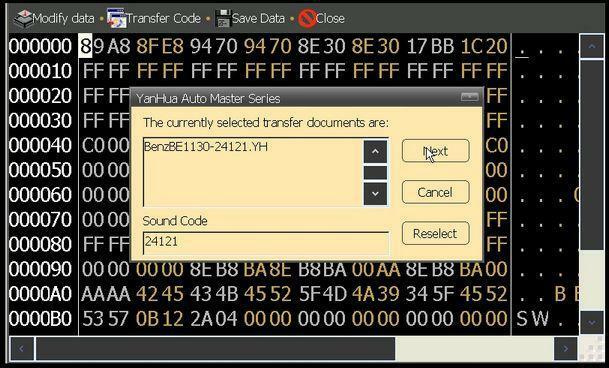 So here I want to share you how to use Yanhua Digimaster 3 to decode audio for Mercedes Benz. Digimaster III can calculate the audio code out or initialize it, as the following picture shows, Digimaster 3 has the function of ” Audio decoding” , after click it, you will find it supports decoding audio for Alfa, Audi, Benz, BMW, Ford, gm, Honda, Lexus, mazda, Mitsubishi, Peugeot, Porsche, Renault, Toyota, Volvo, Volkswagen and more. 2. 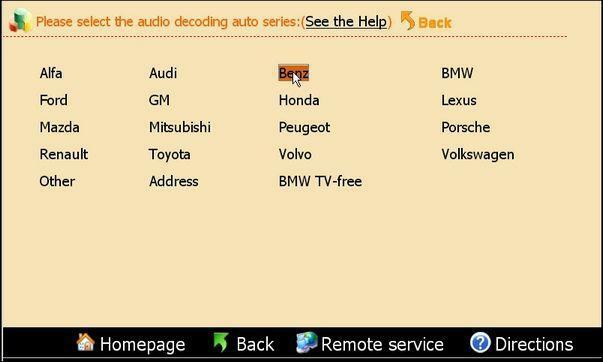 Audio Code Management Step 1: Select Benz to decode, and de-solder the corresponding chip according to the software prompts. Click “Next” to begin decoding. 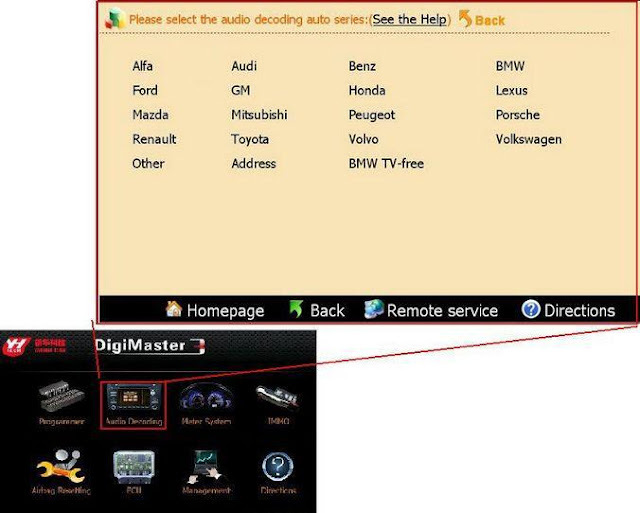 Write a New Comment on How to Use Digimaster 3 to Decode Mercedes Benz Audio?